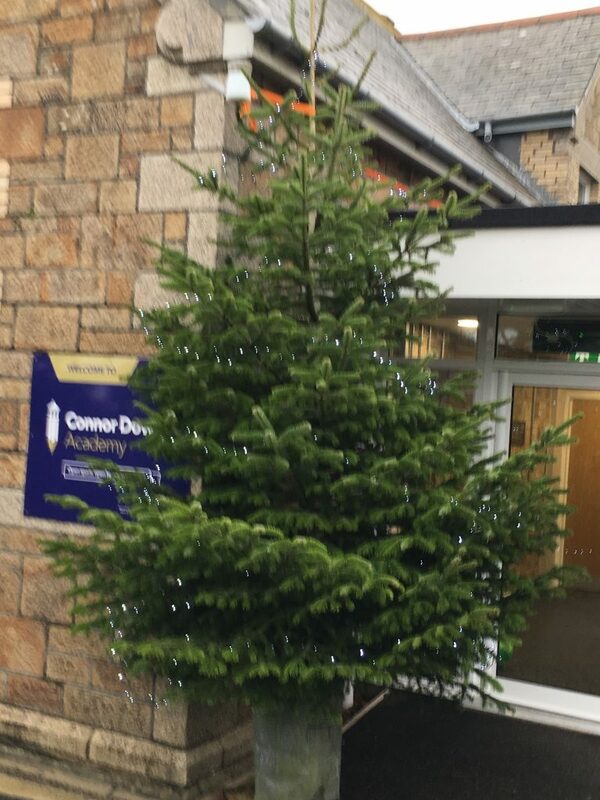 Connor Downs Primary School Christmas tree looking fab! Each year the Parish Council donates Christmas trees to various local organisations. This year we donated one to Gwinear and Connor Downs Primary Schools as well as Connor Downs Residents Association. As the Pen Tye Residents Association was disbanded earlier this year we didn’t think Reawla would get a Christmas tree but thankfully a local volunteer along with a generous business owner meant a tree has been erected in Reawla.